Roji M. John NSUI president profile and biography is given here. Rojin John, the son of Mullanmadakkal John of Ayirur became the fourth person to become the president of the students union after Ramesh Chennithala, Hibi Eden. 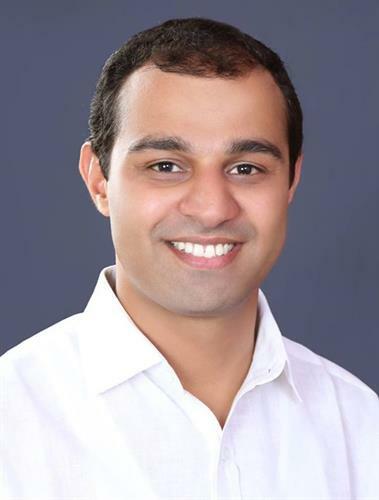 Roji who was serving as the Vice President of NSUI from 2011 has a brilliant track record associated the youth wing of the congress party. Read more to know about, Roji M John, the newly elected NSUI president. Kerala has contributed a number of young politicians who have made the state proud for the boundless service they have rendered for the society. After the enormous leadership rendered by Ramesh Chennithala, Hibi Eden for the National Students Union of India, now yet another malayali has lifted to the position of the National President of the organization. Roji M. John, who hails from Ayiroor in Angamaly endorsed as the first elected president of NSUI has a lot of achievements in his credit. Read more to know about Roji M John and his journey to reach the highest position. Roji M. John born as the son of Mullanmadakkal John hails from Ayiroor in Angalamy near Ernakulam. After completing his basic education, Roji joined the Sacred Hearts College Kochi for higher studies. Along with education, Roji carried the spirit of the Indian National Congress in his veins from his school days. Truly attracted towards the political affairs of KSU in late 90's, the students cadre of the NSUI in the state. Roji M John became an integral part of the KSU during his studies in the college. Being a good orator and organizer, he become much popular among the students. He stood in front to find solution for various problems which were face by the student's community. Roji expanded his friends circle by lending his hands uniting with them for social issues. Elected as the Chairman of S H College Thevera Ernakulam in 2001, he tried to utilize the gifted time to arrange innovative programmes. After his bachelor degree, Roji shifted his to Delhi which was could be properly used for education and political life. He continued his think bond with his political affairs and was elected as the councilor of JNU Students union Delhi in 2005. For his active work in student's political secured him the JNU NSI secretary post in 2006. He was further elected as the JNU SNUI Vice president in 2008. Roji was in charge of volunteering various organizational activities for the NSUI. In 2009, the young brigade of the Congress was appointed as the member of Central Election Authority of NSUI. Being the first from his family to get associated with politics, young Roji proved his skill as an orator and organizer during his decade long career. While in NSUI, Roji was given the task of conducting organisational elections in several states. His first assignment in Chhattisgarh was a great success which initiated the leadership to grand him more responsibilities. Taking charge as the National Vice President of the NSUI in 2011, he was in charge of the Organisational Elections and Unit Management. Being an alumnus of Jawaharlal Nehru University Delhi, Roji M John played a crucial role in uniting the youngster under one umbrella. On 6th August 2014, Roji was elected as the national president of National Students Union of India, the student wing of the Congress. He also became the first person to be elected to the post after Rahul Gandhi introduced the system of election of office bearers. He won the election with 36 of 62 office bearers of NSUI voting in his favour. The 34 state presidents and 28 national office bearers of NSUI across the country, who had the voting right, were a part of election process. A travel enthusiast and a passionate Foodie, young Roji has much to do for the society and the country. Let his future career bring fruitful days for the organization and the nation.